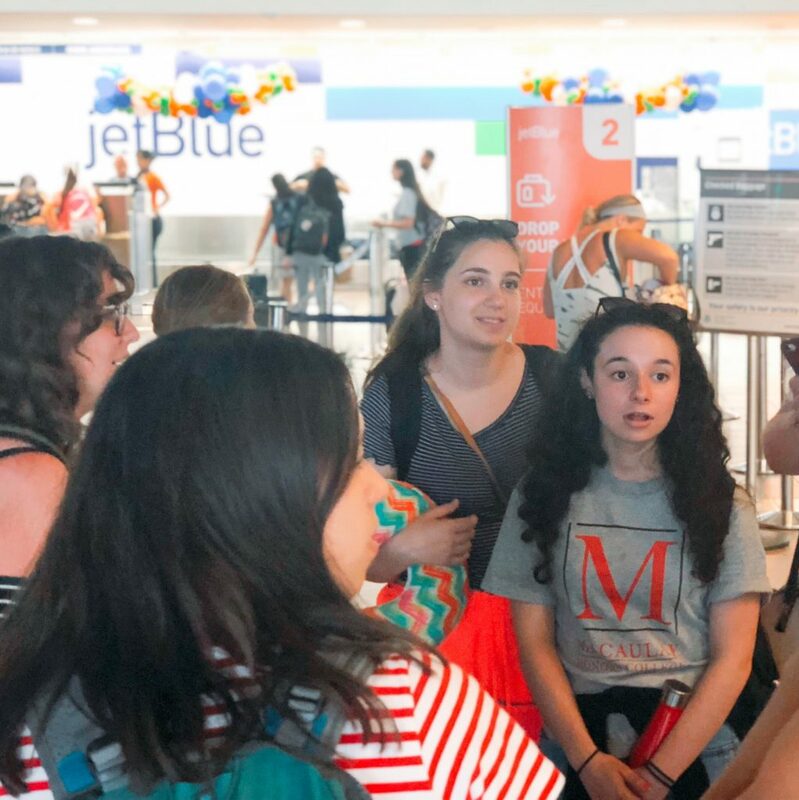 Experiential learning and meaningful service merged this summer to inspire 16 Macaulay students who traveled to Puerto Rico to help with ongoing recovery from Hurricane Maria. 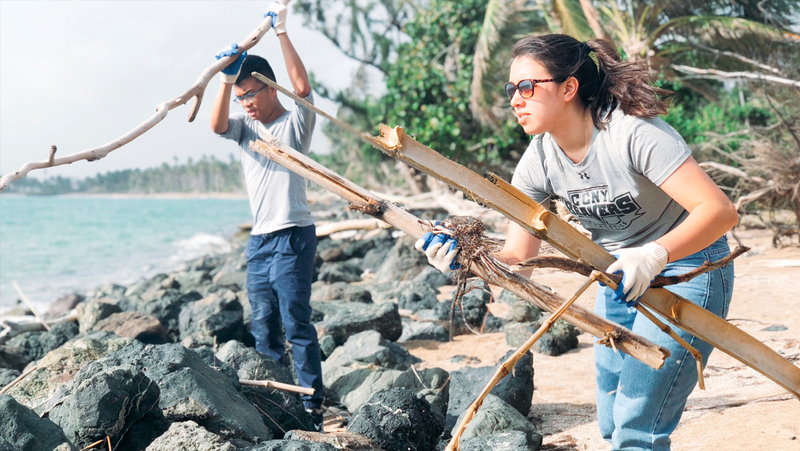 The beach clean-up and similar restoration work involved physical labor. Other tasks connected students with local residents, as on the day they helped conduct a community needs survey. The group also performed water quality monitoring, planted trees with children in a summer camp, helped students in an alternative high school to build a green classroom, and much more. When classes resume this fall, the students plan to organize to advocate for change in Puerto Rico. They will call not only for immediate crisis relief but also for policies that build resiliency into the island’s economy and infrastructure. JetBlue made this trip possible with a generous air travel donation.